Study assessing the ecosystem services and economic benefits of land uses and changes in land use in Northern Ghana. Abstract: Mounting pressure from population growth, natural resource shortages, development demands, and an increasingly erratic climate has left communities in northern Ghana to face significant challenges in balancing short-and long-term food security and financial needs. 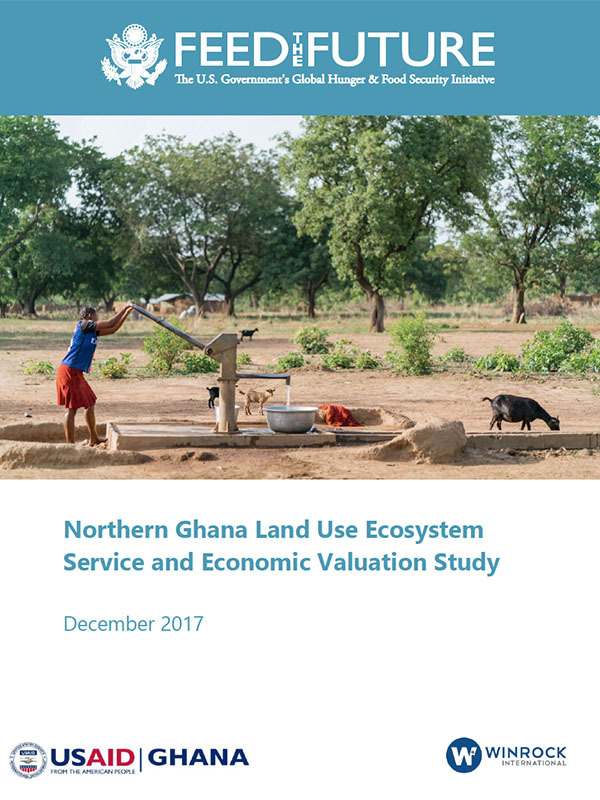 Produced under the USAID AgNRM project, The Northern Ghana Land Use Ecosystem Service and Economic Valuation Study is an assessment of the economic and environmental implications of land uses as well as changes in land use. By offering a scientifically credible and holistic assessment of the value of common land uses in northern Ghana, it may serve as a useful resource for land users and decision makers looking to engage in sustainable, balanced land use planning.